Who won? Justify was declared as the winner. Justify finished first, followed by Good Magic and Audible. From 2009 to 2013, the annual race has witnessed double digit payouts for the winner. It has been five consecutive years for such a high bid. Along with it, it has been four years in a row the KentuckyDerby is experiencing lower payouts on the winner. However, it doesn’t have to do anything necessarily being bad action. Here is an interesting fact, the trifecta was the best payout since 2009 with two longshots in Lookin at Lee (33-1) and Battle of Midway (40-1) running 2-3 in 2017 and the superfecta (top four finishers) paid out a whopping $75,974.50. The Kentucky Derby 2018 post time has been set to 6:34 pm ET while the race will start at time – 6:46 pm ET on Saturday. The official broadcast schedule for the Derby weekend is as follow. Don’t worry if you can get yourself a ticket to catch the race at the venue, we have got you a solution. 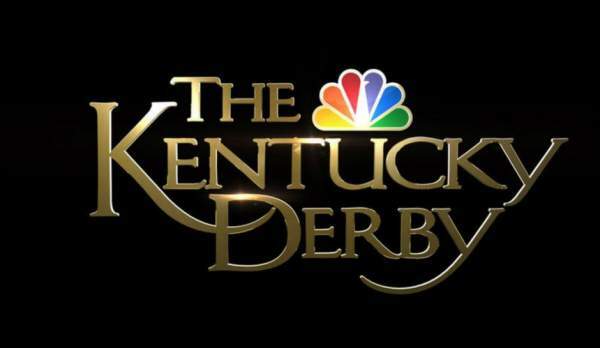 The fans who are looking to stream Kentucky Derby online, they need to watch it on NBC Sports Extra app. It’s available for all platforms including iOS, Android, Windows Store, Roku, Apple TV, and Amazon Fire. Moreover, you can watch it on the big screen using web/internet via NBC Sports Live Extra or Twin Spires. The latter is the official online wagering site of the Derby. The viewers will need to sign up for a Twin Spires account if they want to watch the Derby via Twin Spires TV. 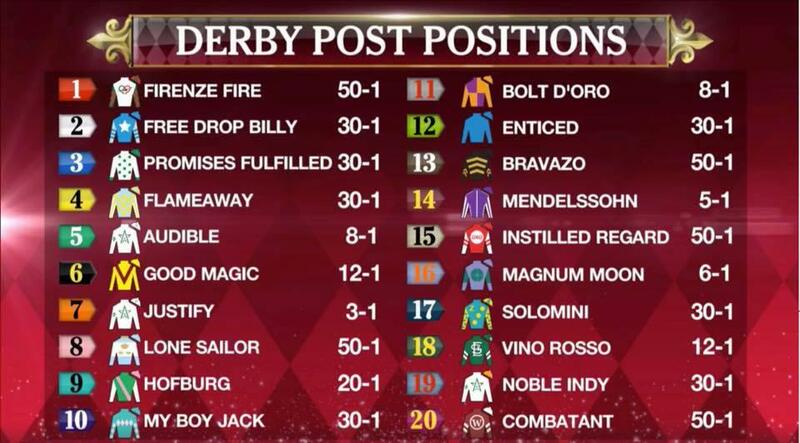 Here’s the Derby field, post positions and opening odds.